2. Analysis of the wáter pH in order to keep it between 7.2 and 7.4. This will prevent the appearance of algae and the most important matter, will ensure that the skin of bathers does not suffer any type of irritation. 3. Chlorination of the pool: it will be necessary to keep the filter working around 6 hours in order to homogenize the products. The following day, it is necessary to clean the filter. This process helps to avoid decomposition, especially in case the pool is next to vegetation. If your pool is in a cold climate zone, it is advisable to lower the water level below the skimmers, empty the pipes and filter, and place a floating object on the surface of the pool, to avoid freezing. For those pools which have salt electrolysis systems for the treatment of water, there is a different previous treatment to be applied. 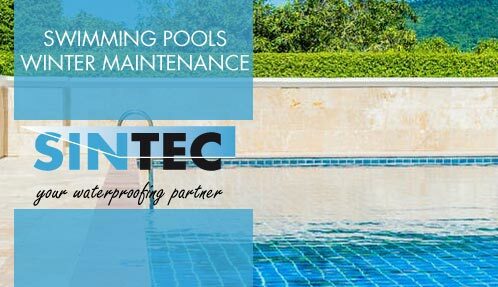 If the temperature of the water is higher than 15ºC, the equipment must be left running long enough to maintain a chlorine residual of between 0.5 and 1.0 ppm, adjusting the pH between 7.2-7.4. manual or automatically. In case the temperature of the water is below 15 ° C, the electrolysis equipment must be switched off, and the chlorine generating cell extracted, to clean it with electrolytic cell descaler and in this way eliminate the possible incrustations. In case there is a pH or pH / Rx control and regulation equipment, pH and RedOx electrodes should be carefully removed, and placed in a preservative solution, in the original cover or in a dry place between 10ºC and 30ºC, verifying that the pH and Redox electrodes have the final end inside the factory original liquid of the preservative solution, being essential that the Protective case is always moistened with this solution. After these steps, the usual hibernation treatment described above should be followed. In case this process seemed to be complex for the end user, there are experienced Firms which will be glad to do this manteinance. Please contact them, as this maintenance will afford future problems. It is advisable to use covers, since they guarantee a low concentration of chemical products, keep the pools clean and prevent water losses through evaporation. One of the main advantages of its use is in the wáter maintenance, which is much simpler and cheaper. In addition it protects the safety of children and pets. It is advisable to carry out a regular cleaning, correctly dosing the specific cleaning products and using substances that do not deteriorate their technical qualities. Please do not forget the application of anti-mold components to avoid finding fungi when opening it. 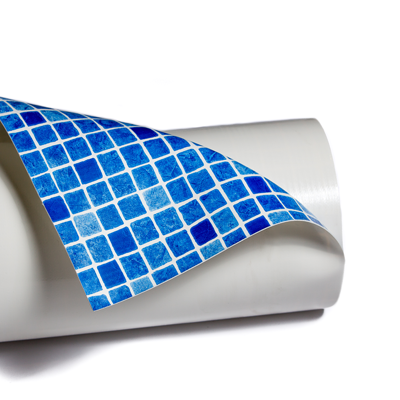 SINTEC guarantees swimming pool water tightness with the use of URDIN SPR, a flexible PVC membrane reinforced with a polyester mesh, manufactured exclusively with high quality virgin resins. A complete range of colors and designs are available, in addition to offering the consumer two finishes: URDIN SPR and URDIN SPR ANTISLIP, which prevents pool users from slipping (as stairs).